"Could be worse. You could BE A BIRD!" 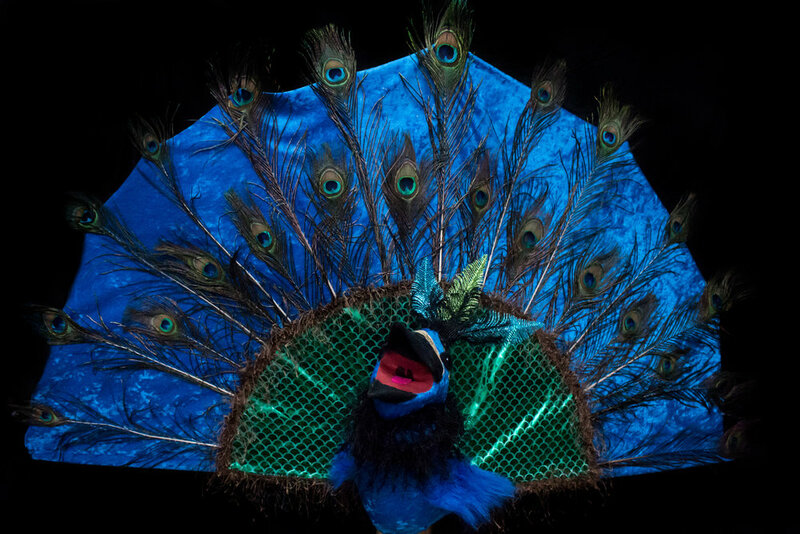 Using puppets for "The Birds: A Modern Adaptation" adds an extra level of visual magic to your production. Giving the actors "birds" to work with, allows the actors to spread their wings and bring their performance to life. This rental package includes: peacock, nightingale, dodo, parrot, ostrich, hummingbird, titmouse, vulture, 4 song birds, hawk, blue-footed boobie, flamingo, kiwi, crow, and bat. Click here to rent this package.